Unleash the magical Dragon God when you carry this Dragon Ball Z travel mug! 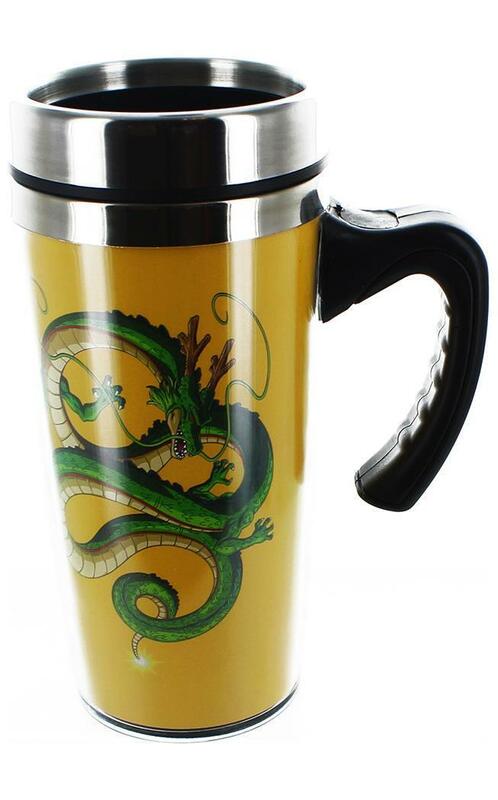 The Dragon Ball Z Shenron Dragon Travel Mug is a yellow, 16-ounce plastic travel mug with lid and rubber seal close fit. It features an image of the writhing Shenron, the Eastern dragon from the animeA Dragon Ball Z. Gather the seven Dragon Balls of Earth! 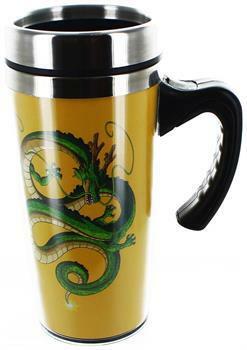 Unleash the magical Dragon God when you carry this Dragon Ball Z travel mug! A must-have for any DBZ fan!